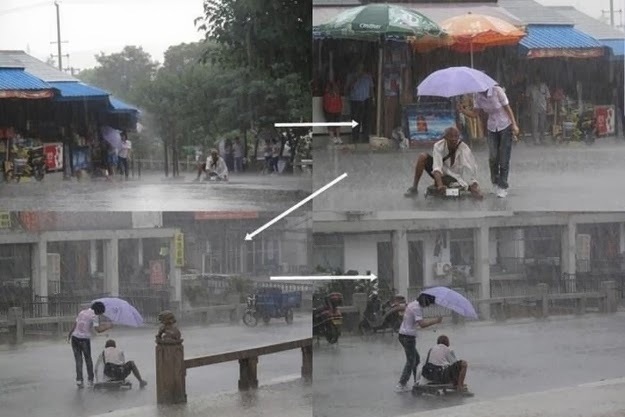 These Wonderful Moments Will Regain Your Faith In Humanity. 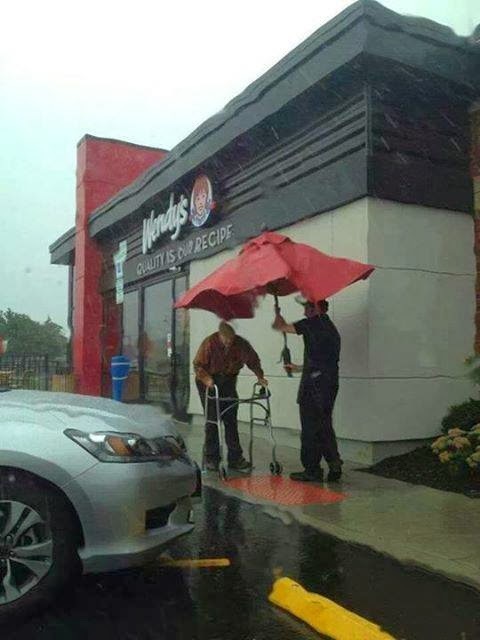 1) This Wendy’s employee takes off the umbrella from a table to help an elderly gentleman walk to his car in the heavy rain. What a beautiful and caring gesture! 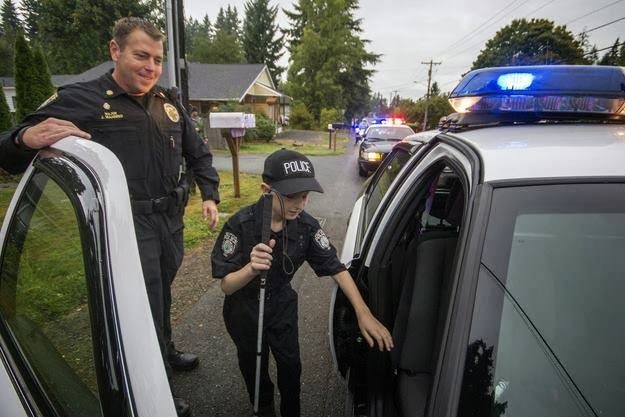 2) When these police officers found out that this 13 year old blind boy wanted to be a cop, they did this for him. We salute such officers to fulfill dreams of the little ones. 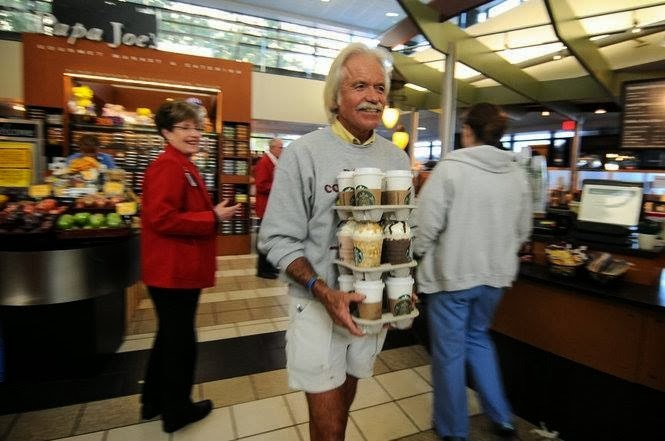 3) Meet Dan; Every Wednesday and Thursday, he visits the local Cancer Centers, buys several cups of coffee for every patient, doctor, nurse and each and every individual in between. He not only sponsors coffee for them, but also serves them with all his heart! Now this is what you call kindness. 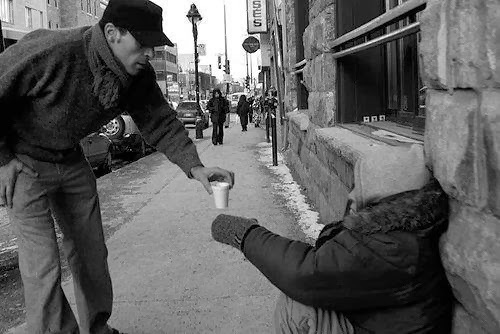 4) Watch how this amazing guy gives a hot cup of coffee to this homeless man freezing in the chilliest winter weather! 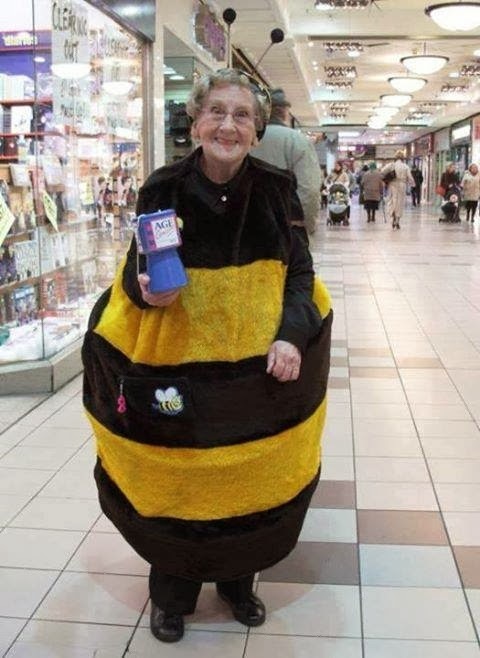 5) Meet this 91 year old woman, popularly known as The Bee Lady; she has raised 92,000 pounds for charity; she deserved the national award she received! 6) This woman kept the homeless man dry at the time of a terrible downpour. What a lovely lady! 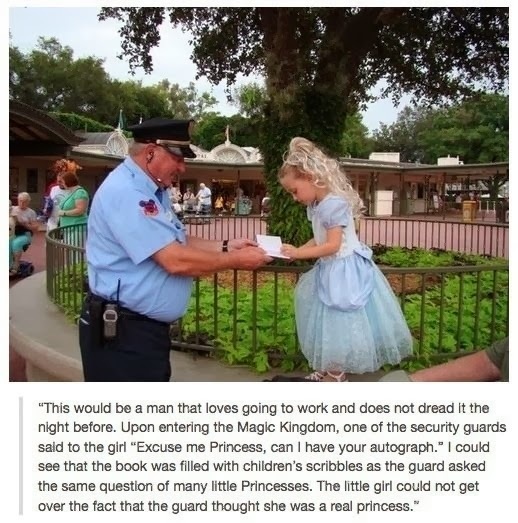 7) Meet this wonderful Disney security guard, who is truly dedicated and incredible at his job. He does justice to each and every task he is assigned with, even if it is just to make the little princesses smile! 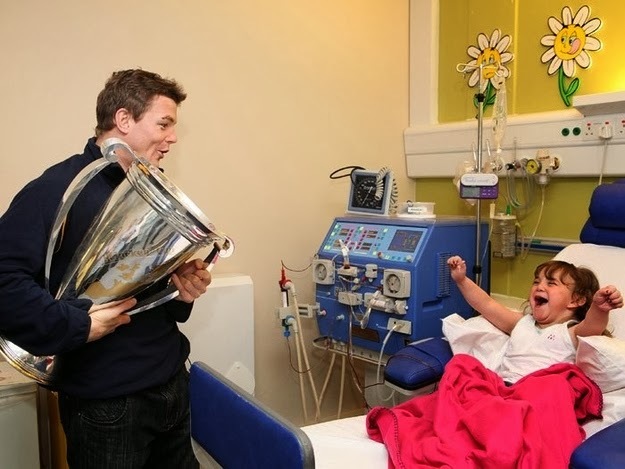 8) Meet the famous Rugby player, who took out a few minutes from his busy life and visited his biggest fan in the hospital. Look at the expression of his fan! AMAZING! 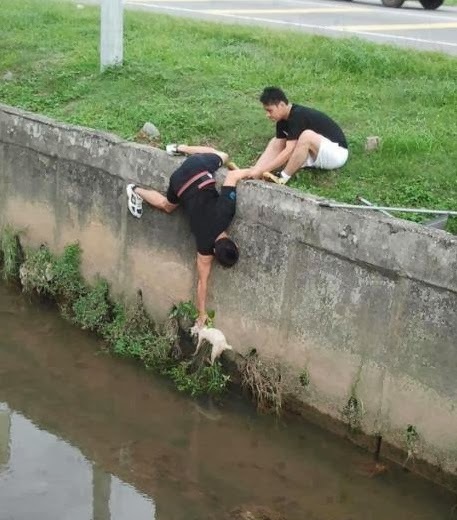 9) These two amazing brothers, who did all that they could to save the cat from drowning… they did succeed! 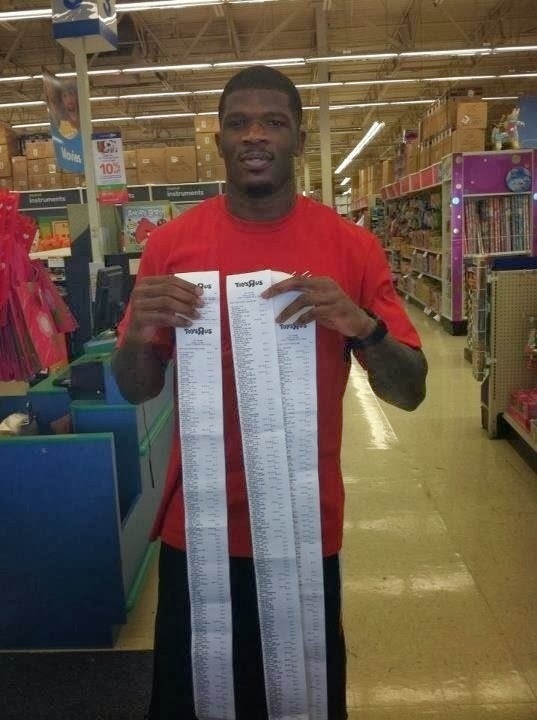 10) Meet this football star, who provides the needy kids a shopping spree every year!